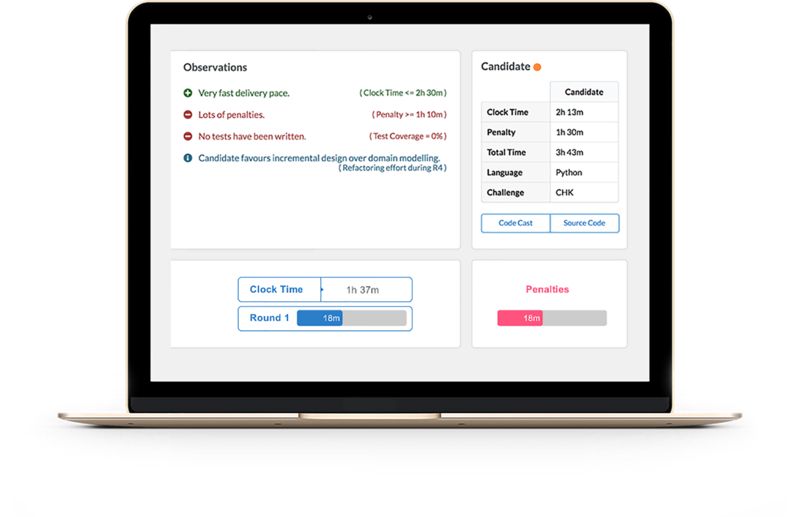 Insights Developer Challenge simulates a real world development scenario using a series of changing feature requirements which forces the candidate to rethink their initial decisions and penalises bad practices, such as lack of tests or over-engineering. 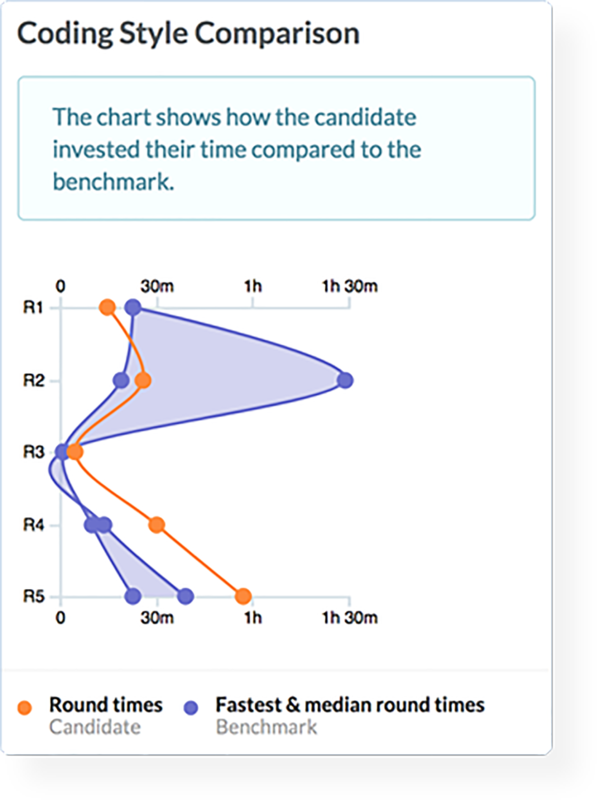 After the candidate has finished, a report is generated summarising the coding style of the candidate, the code quality, how fast they completed it, and how they compare against other developers and the existing team. Accelerate's technical assessment platform is designed to be configurable to tailored assessments.